It's Local Author Night at The Book Cellar! This month we are joined by Randy Richardson & Becky Sarwate (Cubsessions), Liam Heneghan (Beasts at Bedtime), & Kelly Weiss (The Cube). About Cubsessions: The Cubs are more than just a baseball team to those who root for them. From the heartaches of 1969 and 2003 to the pure joy of 2016, emotional ties bind fans of Chicago’s North Side ball club. 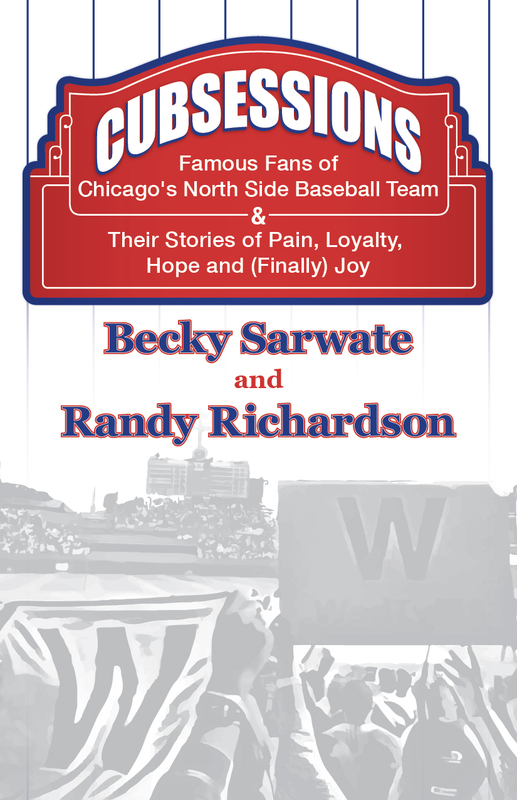 Throughout the 2017 season, writers and die-hard Cub fans Becky Sarwate and Randy Richardson interviewed a diverse collection of some of the team’s most famous fans: actors, comedians, broadcasters, musicians, restauranteurs, athletes, journalists. Even those who are ubiquitous precisely because of their fandom. Cubsessions tells the story of divergent life paths – the roads taken, the failures experienced, and the successes reached – and how those paths all come together for a collective passion. Bob Newhart, Pat Brickhouse, Dennis Franz, Joe Mantegna, Scott Turow, Bill Kurtis, and many others, share just what it means to bleed Cubbie blue. About Randy Richardson: An attorney and award-winning journalist, Randy Richardson is a founding member and first president of the nonprofit Chicago Writers Association. His essays have been published in the anthologies Chicken Soup for the Father and Son Soul, Humor for a Boomer’s Heart, The Big Book of Christmas Joy, and Cubbie Blues: 100 Years of Waiting Till Next Year, as well as in numerous print and online journals. He is the author of two novels, Cheeseland and Lost in the Ivy, both from Eckhartz Press. A die-hard Cubs fan, Randy is a regular contributor to Wrigleyville Nation. He lives a Purple Line Express away from Wrigley Field with his wife Mitsuko, their son Tyler, and their two cats, Smokey and Bandit. About Becky Sarwate: Becky Sarwate is a freelance Chicago writer contributing to a number of publications including The Broadway Blog, where she reviews Chicago theater productions, and Wrigleyville Nation, chronicling the highs and lows of lifelong Chicago Cubs fandom. Becky also publishes a political/cultural column for Contemptor and has written for PoliticusUSA.com, RootSpeak magazine, NewCity, Make It Better, and StreetWise. She has been recognized eight times by the National Federation of Press Women for excellence in communications. Sarwate was also the 49th President of the Illinois Woman’s Press Association, founded in 1885 and remains on the Executive Board as Immediate Past President/Digital Marketing Chair. About Beasts at Bedtime: Talking lions, philosophical bears, very hungry caterpillars, wise spiders, altruistic trees, companionable moles, urbane elephants: this is the magnificent menagerie that delights our children at bedtime. Within the entertaining pages of many children’s books, however, also lie profound teachings about the natural world that can help children develop an educated and engaged appreciation of the dynamic environment they inhabit. 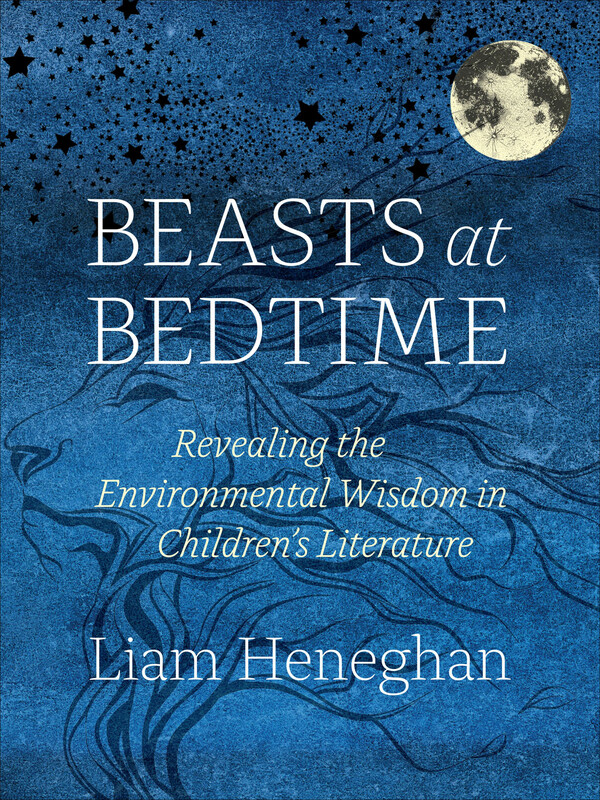 In Beasts at Bedtime, scientist (and father) Liam Heneghan examines the environmental underpinnings of children’s stories. From Beatrix Potter to Harry Potter, Heneghan unearths the universal insights into our inextricable relationship with nature that underlie so many classic children’s stories. About Liam Heneghan: Liam Heneghan is professor and chair of environmental science and studies at DePaul University. He is a Dubliner, an occasional poet, a tin whistle player, and a father of two grown children to whom he read every night of their early years. About The Cube: Will barely remembers life before the Cube. He and Kim were early players of the game but since her death, he has been in a cocoon of grief, doing his best to ignore the Cube and people in general. On a rare night out with friends, Will is as surprised as anyone that he still believes in the virtue and grandiosity of the game--and perhaps more startling, that he has emerging, yet deep-rooted feelings for his friend Molly. The night takes a turn when Will and Molly discover an enigmatic symbol on the ground by the game's stadium. Will uses Molly's interest in the symbol as an excuse to keep seeing her, but what starts off as a fun and flirtatious treasure hunt for more symbols quickly escalates and sets off a dangerous chain of events that puts their lives at risk. 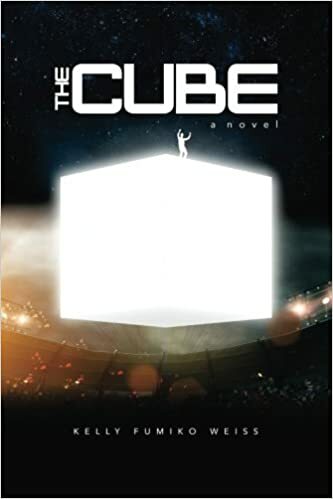 Will soon realizes that unlocking the mysteries of the Cube may not only be the key to returning them to safety...the chase ultimately may give him a second chance at love. 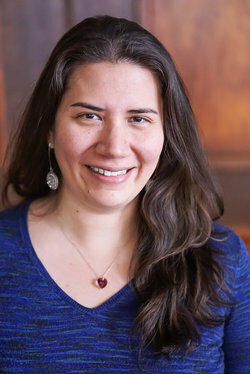 About Kelly Weiss: Kelly Fumiko Weiss is a member of the Chicago Writers Association and the author of The Cube. She is also an author on channillo.com. Her Channillo series, Amache’s America, won the 2017 award for Best New Series. Kelly’s career has centered around IT management in the education/nonprofit sector. She lives in Chicago with her husband and daughter. is a member of the Chicago Writers Association and the author of The Cube. She is also an author on channillo.com. Her Channillo series, Amache’s America, won the 2017 award for Best New Series. Kelly’s career has centered around IT management in the education/nonprofit sector. She lives in Chicago with her husband and daughter.